"Yesterday, Network World rolled out a new podcast series, Open Mic with Zonker, hosted by openSUSE community manager, Joe ‘Zonker’ Brockmeier. The new series promises to give an insider’s view on what’s hot and new in the open source community with lively interviews. In this first podcast, In the Linux Driver Seat with Kernel Developer Greg Kroah-Hartman, Joe ‘Zonker’ Brockmeier talks with Greg Kroah-Hartman about the Linux Driver Project. What is it? What they do? Why they need more companies to get involved. Greg’s also been involved with Moblin 2, the optimized Linux software stack that delivers visual rich Internet and media experiences on Intel Atom Processor-based devices, and he talks about some of the recent developments with that project, including SUSE Moblin from Novell. (12:03)"
"In just a few hours, I’ll be in Toronto for the Ontario Linux Fest! Looking forward to meeting the OLF crowd and giving the Musical Guide “remix” keynote tomorrow. “Remix” because I had the opportunity to do the talk the first time at LinuxCon in September, and this time around I’ll be giving a slightly different version of the talk. Let’s just hope that the projector cooperates with my laptop, otherwise it’ll be the “unplugged” version." "While openSUSE 11.2 gets closer and closer, all of the Boosters are mostly busy making sure RC1 and the final release are good. But we’re finding some time to work on our Boosting projects. On the umbrella site for all opensuse.org sites front, a design and user profiles are being developed . The factory.opensuse.org status site concept is being developed in collaboration with the Maintenance team, so that it will be used for seeing the state of maintenance work (ie online updates) for released openSUSE versions. We’re analysing the Build Service web client code for how to hook in there, and several team members are brushing up their Ruby skills. The reorganize contributor documentation squad are discussing a new structure on the opensuse-wiki mailing list." "openSUSE 11.2 is scheduled to be released on Thursday, November 12th, 2009! There's no better way to enjoy the new release than with your fellow openSUSE users! If you, your LUG or openSUSE User Group are hosting one, go ahead and add it to this list. If you're interested in hosting one but have questions, email the openSUSE Marketing list for information. " "SPAM. It’s a dreadful word that causes many a computer user to yank out their hair and wish their service provider would do a better job of keeping SPAM out of your inbox. But that is not going to happen over night. So…it is up to the end user to make sure they have extra means of SPAM prevention rolled into their email clients." "Does going to your Wordpress blogging dashboard sometimes seem like the prelude to a daunting task? You’re not alone in your feelings. Fortunately for us, Wordpress developers had the heart (and brains) to develop an automated blogging solution that can erase our fears of dashboards." "Akkana Peck’s Gimplabels is a set of scripts for the Gimp image editor that make creating labels and business cards a snap. A .tar package is available on the Web site, but the contents are simply a Gimp script named labels.scm and the utilities needed to rebuild labels.scm. Gimplabels was originally written for an older version of the Gimp, so if you are using the current revision (2.6) and it doesn’t work, try the rebuilding instructions inside the package. You should be able to install the script by copying it to the /scripts/ directory inside your Gimp configuration folder (i.e., /home/username/.gimp-2.6/)." "Lots of programs that bring their own libraries use the following snippet in their wrapper scripts: export LD_LIBRARY_PATH="$LD_LIBRARY_PATH:/my/special/librarypath" This allows linker to find the needed libraries, even if they are not located in the standard directories (which are defined by /etc/ld.so.conf). At first, this seems OK, but it creates one problem, though. When the $LD_LIBRARY_PATH was empty before the assignment, the new value starts with a colon. When we run the program wrapper, linker splits the variable into substrings and ends up with one empty path. This indicates to search for libraries in the CURRENT working directory, which can cause problems or even a security threat." "With the advent of the Intel Atom processor and multicore processors, Intel architecture processors are proliferating in a number of new market segments, most notably embedded systems where good performance is essential. In parallel with this trend, Linux is becoming an established operating system option for embedded designs. The two trends combined pose an interesting problem statement: "How to get the most out of my embedded application running on an Intel platform and a general purpose operating system?" During all kinds of application development, there comes a time when a certain level of performance analysis and profiling is required, either to fix an issue or to improve on current performance. Whether it is memory usage and leaks, CPU usage, or optimal cache usage, analysis and profiling would be almost impossible without the right tool set. This article seeks to help developers understand the more common tools available and select the most appropriate tools for their specific performance analysis needs." "If you read around the KDE Techbase, or if you develop KDE applications, you may have heard about KDE’s KConfigXT. This is an extension of KDE’s KConfig, and can be used to generate nice configure dialogs with multiple pages with minimal effort, also taking care of saving and applying settings. In short, something really neat! But there are problems when using it with interpreted language bindings (such as PyKDE, which is the one I use)." "I've fast RAID-10 disk subsystem with multiple SCSI disks. Apps running under modern Linux kernel don't write directly to the disk. They write it to the file system cache which is managed by Linux kernel virtual memory manager. Since I've high performance RAID controller I need to decrease the number of flushes. How do I tune virtual memory subsystem under Linux operating systems for better performance?" "LAMP is short for Linux, Apache, MySQL, PHP. This tutorial shows how you can install an Apache2 webserver on an OpenSUSE 11.1 server with PHP5 support (mod_php) and MySQL support." "Last week we looked at some good ways to use OpenSSH and SSHFS for easy file sharing on the LAN. Today we're going to review how to use encryption keys instead of password logins. Using key pairs is less flexible but more secure because it's like using a key lock instead of a combination lock. There is no way to brute-force a password, you don't have to give away system passwords, and only users who possess the key can get in." "Ekee is a graphical LaTeX equation editor that allows the typeset equations to be dragged and dropped to OpenOffice.org or saved as high quality images to be used in other word processors and presentation softwares. 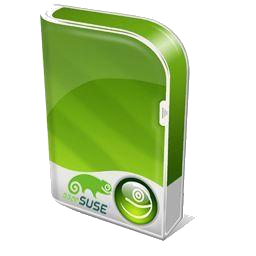 Packages for openSUSE 11.1 are available in my home repository on the openSUSE buildservice and soon they should be included in the science repository too." * Gobby now adheres to the XDG specification for its configuration file. * Remove spurious underscores on "replace" buttons. * A "Save Session As" menu item has been introduced. * Add High Contrast Large Print icons for Gobby and its custom toolbar items. "I’m pleased to announce the publishing of the freemed 0.8.4 Package. FreeMED is an opensource electronic medical record (EMR) and medical management system. This is an PHP/Apache driven Software. You can download it from home:saigkill:medical." "Last week, Munich saw the 2009 Edition of the Qt Developer Days. Qt Developer Days is a Qt-focused software conference which is held yearly in Europe and the U.S. The American edition will be held at the start of November in San Francisco. 700 attendants and more than 70 Trolls made this edition the biggest Developer Days to date. Qt Development Frameworks had invited a group of KDE developers to the conference, more well-known heads from the KDE world were sent by their respective employers. The days brought training sessions around Qt and many interesting presentations ranging from higher level topics such as the future roadmap for Qt to topics related to Qt programming with techniques and technologies such as the Model/View Framework, QGraphicsView, WebKit, multithreading and many more. Read on for a more detailed report of what has been revealed and talked about during the three-day conference in Munich's Hilton Park hotel." "This post comes a bit late, so some of you may already have heard the news: KDE Edu will ship a new application in 4.4: Cantor*. Cantor is an application that lets you use your favorite mathematical applications from within a nice KDE-integrated Worksheet Interface, and offers assistant dialogs for commonly used functions like solving equations or integrating/differentiating a function. It currently has support for three Backends Sage, Maxima and R."
kdenews.org/Jeff Mitchell: Camp KDE 2010 Registration Open! "Registration for Camp KDE 2010 has officially opened! Check out the beautiful new web site at http://camp.kde.org and click on the Registration link to sign up. (Many thanks to Eugene Trounev for the graphics and Eugene and Leo Franchi for the site design)." "As explained on Userbase, Nepomuk is a promising new technology which aims to make the user's data easier to find. Not only through the now common search and indexing, but also by making use of more complex relationships between documents, contacts and all sorts of data. While the full potential of Nepomuk is still shrouded in mystery for most of us, for developers it is an exciting area of work where academic research and Free Software development come together. Nepomuk is looking for new developers, read on to find out how you can help!" "Today is the ten year anniversary of the incorporation of Ximian, Inc. A company founded by Nat Friedman and myself whose goal was to advance the state of the Linux desktop. It was also an excuse for Nat and myself to hang out as we had become best friends forever in the previous two years." "After the Maemo Summit the details on the address book application and framework in Maemo 5 are finally completely public so I can openly talk about what I worked on during the past year and, even better, I actually have a smartphone that runs this software! (Thanks to Nokia that gave out 300 N900s, but I will talk about this in my next post)"
"Howdy, i’m sure most people are aware of the recent release of Moblin 2.0; a user experience for netbooks. I’m going to write a few blog posts about how the Moblin user experience is built on the awesome technologies in the GNOME platform. So first up, let’s look at the Myzone, we’re starting here since this is the first thing I really worked on in the Moblin UX and i’ve been able to see it through from early ideas to the 2.0 and 2.1 releases." "In line with my post last week about how to market FOSS, and what to lead with, Seth Godin talks about listening to the true believers. In short, if you look at just about any topic area you’ll find “true believers” who are deeply involved with the issue at hand, but largely out of sync with the larger market." "Kolab on openSUSE made some very good progress since my last blog update on this topic. The most visible thing to the system administrator is that all Kolab required packages are available on the build service for openSUSE_Factory which will become openSUSE_11.2 very soon and its and predecessors." "There's a lot of discussion about user experience around these days. That's good, though sometimes the focus is kept on solving "big issues" and a lot of the small everyday type things get missed. Here are two things that I personally run into a bit too regularly that can be easily improved on and which really do help with the user experience." "Don't panic if you notice insane amounts of updates to packages in the Packman repository for openSUSE. We are currently switching from OBS (openSUSE Build Service) version 1.6.0 to the latest SVN trunk HEAD, which requires some experimentation and also caused a complete rebuild (for unknown reasons)." Brent McConnell: Do People Trust You and Your Community? "Trust influences nearly every interaction we have during any given day. Every communication, every action, every conversation is shaped in some way by the trust and reputation that we infer on the interacting party. It is the currency communities, both online and offline, trade in. Without trust, lasting relationships can't be built and authentic communities can't be maintained. As a Community Leader, part of our job is to build reputation and trust for our communities and the people associated with them. This may sound easy, but it can be very hard since you rely on the actions of others for much of your community's reputation and trust. Think about it... You may be the most trustworthy and reputable person in the world, but if your community is acting in the wrong way, your efforts may be for naught." "With the opening of the openSUSE distribution so that everybody can contribute to packaging, we introduced the concept of devel projects and I’d like to explain a bit more what they are and why they are important." "Common problems with simple solutions leaves forum member @Wa1k3rTXRang3r feeling warm and fuzzy." "The plethora of multi-media mp3 ipod type devices can leave you scratching your head. But actually, experience shows it's more likely to work than Not in Linux." "Follow this as users discuss the news of the new release candidate. Some positive feedback which leads to an optimistic feeling, for me at least anyway. I installed it on my working Laptop! Risky, but I'm really pleased." "SSH crops up as a topic quite often. You might find some useful tips in this thread. So if you already use SSH - take a look." "Users discuss some common issues and possible workarounds. Keep an eye on this if you are using the RC or perhaps plan to. And don't forget to report the bugs." Adding a new SATA drive? "If you decide to add a new HD to your system, what do you need to do to get it working properly. Read here and see." "CeBIT Open Source 2010 - Call for Projects http://www.linuxpromagazine.com/Events/Cebit-2010-CFP CeBIT will take place from March 2 through 6 in Hannover, Germany, and the organizers are now looking for projects who want to present their work at CeBIT Open Source 2010." "Between Thursday evening and Friday morning, Linus Torvalds released the fourth release candidate of Linux version 2.6.32, although, due to the typing error in the first release candidate (RC1 was mis-labeled RC2), it is called 2.6.32-rc5 instead of 2.6.32-rc4. Torvalds released this version only a few days after RC4, as he and many other kernel hackers will spend the weekend travelling to this year's Linux Kernel Summit held in Tokyo next week; therefore few changes are expected to make their way into the Linux kernel's source code management system during this time." "Most know the very philosophies behind both of those operating systems are very different. Because of that, many often need a bit of hand-holding in order to gain some semblance of ease when going from one to the other. But does the same hold true when trying to migrate from Mac OS X to Linux? Since OS X originally contained portions of NetBSD and FreeBSD one would think so. But the current OS X is not the same as the original OS X that hit the shelves March 24th, 2001. Because of this, the migration of OS X to Linux could use a little bit of that same hand holding necessary for the Windows users." LinuxCrunch/Fahad: A sneak preview of new OpenOffice 3.2 part 1"
"In 2003 Helmuth Peer, a math teacher at the Weiz secondary school (Bundesgymnasium) decided that it was time to migrate the schools' IT system to a new platform, that would be easy to set up, easy to maintain, and easy to connect via a network. Together with his students, which he involved in the project, he searched for a solution that would allow for customization and correspond to the needs of each school level concerned. He found that the Linux distribution openSUSE 11.1 would qualify as a suitable solution, and building a system on this basis seemed sustainable in the future and the right choice to him. ..."
"In late August we started asking our readers for any questions they had for NVIDIA about Linux and this graphics company's support of open-source operating systems. Twelve pages worth of questions were accumulated and we finally have the answers to a majority of them. NVIDIA's Andy Ritger, who leads the user-space side of the NVIDIA UNIX Graphics Driver team for workstation, desktop, and notebook GPUs, answered these questions. With that said, there are some great, in-depth technical answers and not the usual marketing speak found in many interviews. While Linux is our focus, Andy's team and his answers for the most part apply equally to NVIDIA drivers on Solaris and FreeBSD platforms too. There are many questions that range from the status of new features in their proprietary graphics driver to why it is unlikely there will be any official open-source support from NVIDIA to download percentages of their Linux driver." "This week, 2009 Linux Kernel Summit and Japan Linux Symposium are taking place in Tokyo and so many Linux kernel hackers are gathering in those events from across the world. Unfortunately, I myself couldn't attend the events, but there was a good opportunity to talk with some of those developers. The 100th Kernel Code Reading Party was held by YLUG (Yokohama Linux Users Group - one of the most active LUG in Japan) last night in Akihabara, the town known as Mecca of electrics and cybercultures in Japan and many attendee of the events showed up for the party. The funny thing is that the party for Linux enthusiasts took place on the same day, when Windows 7 released. :-P"
"Following on from MySQL founder Monty Widenius, Richard Stallman, president of the Free Software Foundation, and non-profit organisations Knowledge Ecology International (KEI) and the Open Rights Group (ORG) have advised European Commissioner for Competition Neelie Kroes not to grant approval for Oracle's takeover of MySQL. In a joint open letter, they argue that the takeover would restrict competition in the database market." "I've always regarded the passionate discussions that take place within the free software world as a sign of health: it indicates people care, and that they are thinking hard about the issues. Against that background, a sudden efflorescence of posts about open source companies – what that means, how they work, and their future – is something that I've observed with a certain satisfaction. But sitting and watching isn't really my kind of thing, so I feel it's time for me to wade in with a few thoughts of my own. " "Gnumed is an open source management tool for medical practices. If your practice (or a practice you do IT for) is in need of an electronic record-keeping system, and you do not want to have to shell out your entire IT budget for a proprietary solution, Gnumed might be the perfect tool for you." lists.opensuse.org has 37305 (+19) non-unique subscribers to all mailing lists. The openSUSE Forums have 35756 (+300) registered users - Most users ever online was 10409, 24-Sep-2009 at 21:15. 3678 (+36) of 9732 (+73) registered contributors in the User Directory have signed the Guiding Principles. The board has acknowledged 360 (+9) members. This page was last modified on 2 October 2010, at 12:43.